Stephen C. Tedesco | Littler Mendelson P.C. He also has arbitrated disputes under collective bargaining and private agreements. Stephen has lectured to employer groups on unfair competition, sexual harassment, wrongful discharge, wage and hour issues, and on personnel policies and procedures. 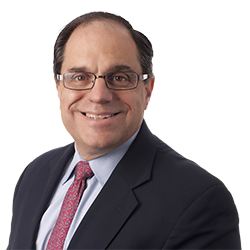 Stephen is a member of Littler Mendelson's Trade Secret and Unfair Competition; Wage and Hour; and Whistleblower practice groups. During law school, he worked as a legal intern for the United States District Court for the Northern District of California. He also was technical editor for the Hastings Constitutional Law Quarterly. The Trade Secret Exception in California: Dead, Near Dead or Just Dying? Stephen Tedesco encourages employers to institute "consensual relationship contracts"
Stephen Tedesco explains the "love contract"